CENTENNIAL BOOKThe Once and Future Forest: California’s Iconic Redwoods is a limited-edition commemorative Centennial book. The League is embarking on a Centennial Vision for Redwoods Conservation that will double the size of the protected redwood forests, put young forests on the path to becoming magnificent old-growth stands, and connect people to these magical places through magnificent parks. Realizing this vision will require all of us who love the redwoods to get behind this ambitious effort. This is why Save the Redwoods League is doing more to advocate for policy and legislation that will help us succeed in the next 100 years. Since 1999, Save the Redwoods League has awarded more than 300 grants to dedicated educators who provide high-quality redwood forest education in and out of the classroom. The League grants funds to schools, park associations and other qualified nonprofits that teach children and adults about redwoods. 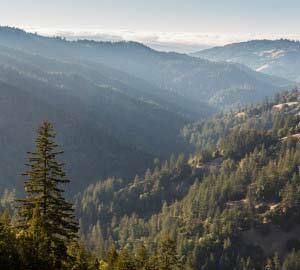 The League protects the ancient redwoods and the forest landscapes that sustain them and restores young redwood forests so they can become the old-growth forests of the future. 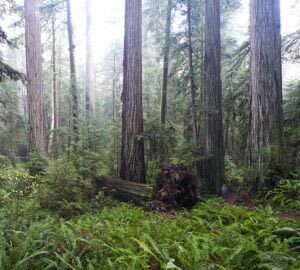 Learn more about how we protect and restore redwood forests, and see a list of our completed projects. Save the Redwoods League supports basic and applied scientific research on the biology and ecology of coast redwood and giant sequoia forest ecosystems. The Redwood Genome Project will develop modern forest inventory tools based on genetic sequences that can be used by forest managers for the conservation and restoration of coast redwood (Sequoia sempervirens) and giant sequoia (Sequoiadendron giganteum) forests. 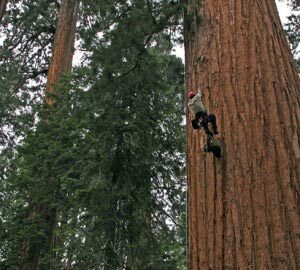 Redwoods Rising, a new collaboration between Save the Redwoods League, the National Park Service, and California State Parks, will greatly accelerate the pace of redwood forest recovery and help protect Redwood National and State Parks' remaining old-growth groves. Working with researchers from Humboldt State University, University of California, Berkeley, and citizen scientists, we are studying the impacts of climate change on redwoods’ growth, carbon storage, and forest biodiversity through the Redwoods and Climate Change Initiative (RCCI). Our Explore Redwoods program includes offline and online tools to give people more ways to interact with the redwood forest, no matter where they live. 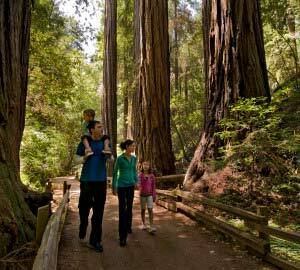 The free Explore Redwoods brochure will introduce readers to 110 redwood parks and places in California and Oregon. 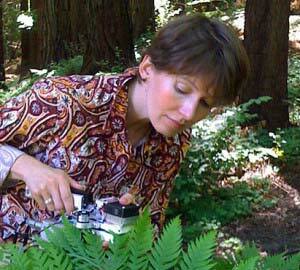 Our new Explore Redwoods online tool helps visitors plan their trip to the redwood forest. Free Redwoods Days will welcome visitors to California redwood state parks throughout 2018. 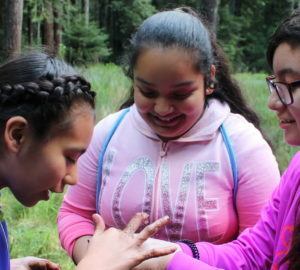 The League’s Education Program connects new generations of caretakers to redwood forests and teaches students about the importance of redwood forests and what we can do to protect them. Through our community science programs, Redwood Watch and Fern Watch, you can help us study where redwood forest plants and animals live throughout the redwood range, and track changes in the forest over time by making simple observations and sharing the data you collect.